Excellent band from Germany who has 5 great albums in his discography. Their music can be described like an hybrid between CAMEL and NOVALIS. Music is very rich, with melodic guitar, flutes and a romantic touch in their lyrics. 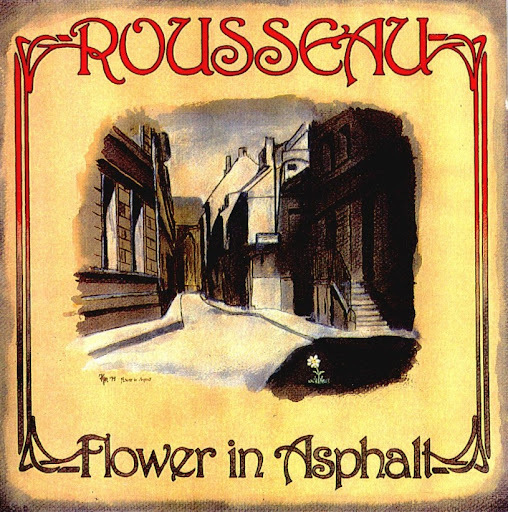 ROUSSEAU were formed in 1977 by Ali Pfeffer, Georg Hutchmacher, Peter Stutz, Ulla Boos and Cristoph Huster. First album "Flower in Asphalt" was released in 1980 (after the change of two members in the original line-up), with a notable success in Germany. Three years later, the second album "Retreat" was issued, but not with the same success than the previous, because in those years in Germany new musical waves stole attention of prog rock. In 1987, ROUSSEAU released their last album from the 80´s, "Square The Circle", with line-up´s changes again and good reviews, but not with a great success. Огромное спасибо! Был поганова качества. А альбом хорош.